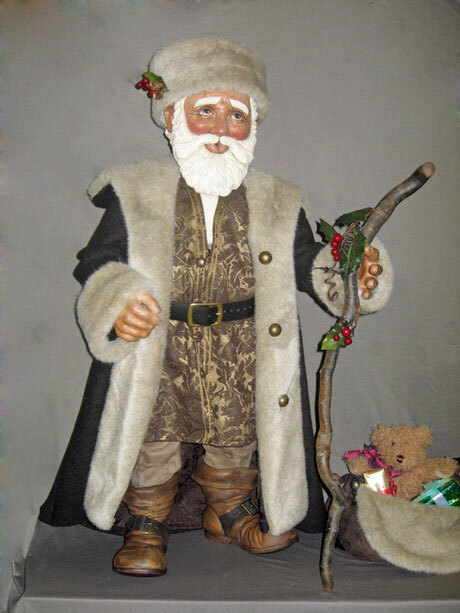 Descended from Ded Moroz, the Russian Santa or Father Frost as he is also know, gives gifts to children on January 7, the Russian Christmas. 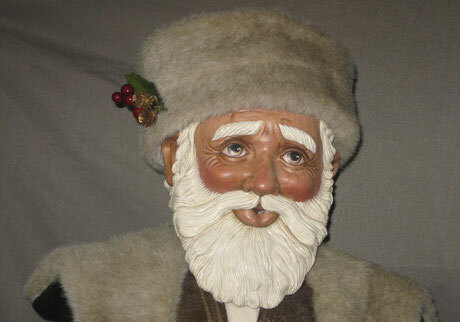 We have created this 40″ wood carved Russian Santa from solid maple wood. 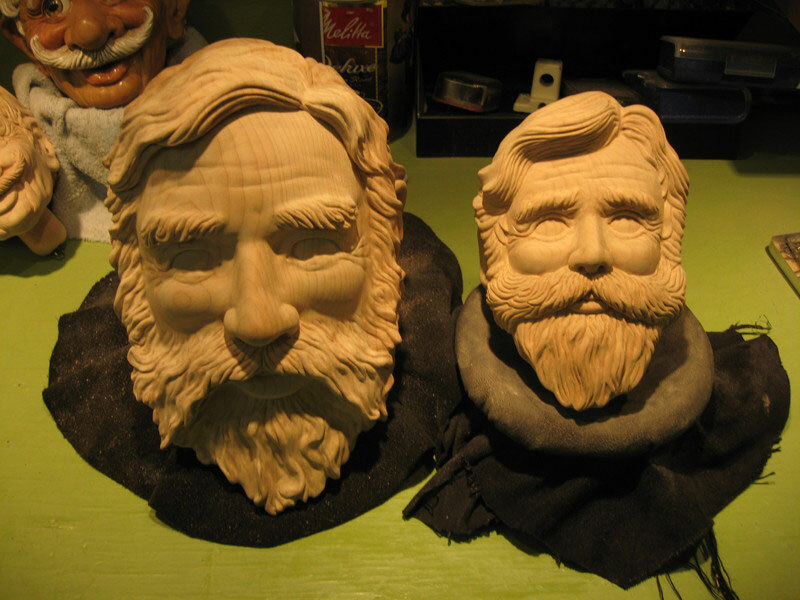 The artist takes many labor intensive hours carving, sanding and hand painting to complete this masterpiece. The body is a massive construction in solid wood with 13 moveable ball and spring joints. The springs used were designed by Tania Xenis and made by a company in Vancouver who supply springs for sports cars. The finished construction allows this imposing character to stand freely on his own. It takes 3-4 months to complete one of these designs and we only make these to order. To inquire about our new 24" Russian Santa which will be available in 2014, please contact us.